HANOVERTON–A dominant pitching performance from United’s Annie Paterson helped the Eagles to an 8-0 victory over Wellsville to stay perfect in Eastern Ohio Athletic Conference play on Monday. United is now 5-0 in league play and 5-4 overall while Wellsville is now 5-10 overall with a 3-3 league mark. Paterson had 14 strikeouts and only allowed two hits. United’s offense got going early to back up Paterson’s pitching when Brooke Smith had a run-scoring double in the bottom of the first inning. United added another run in the inning off a wild pitch. In the bottom of the third inning Maddie Brieck crushed a two-run single, giving the Eagles a 4-0 lead. 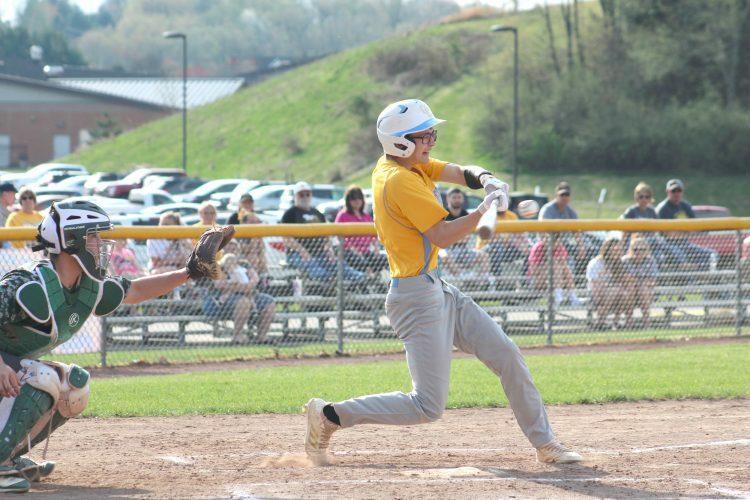 The fifth inning saw some fielding and pitching woes for Wellsville as United got a run from a throwing error along with another two off wild pitches. Breann Warner had a RBI single to round of the inning and an 8-0 Eagles lead. 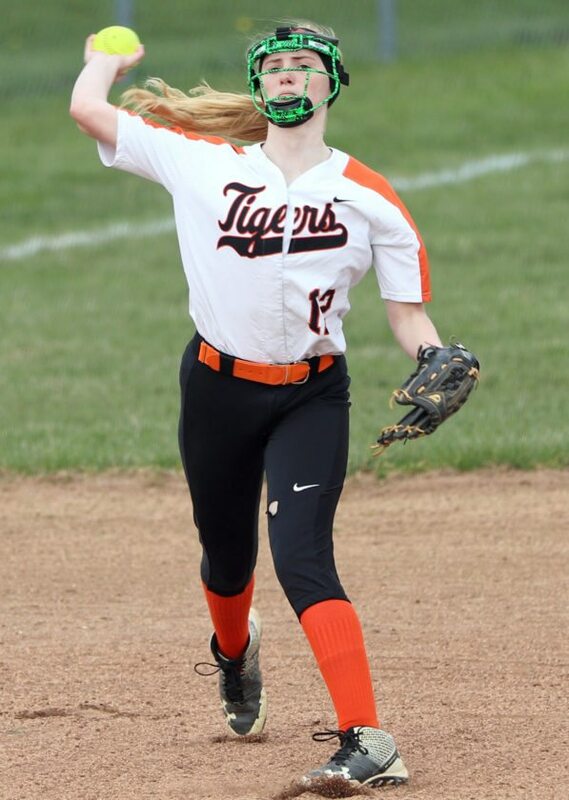 The only rough patch from Paterson’s performance came in the top of the seventh inning when she allowed Wellsville’s Cambria Murphy to get a double and hit the next batter with a pitch. The following batter was her 14th strikeout victim of the day and closed the book on Wellsville’s best scoring opportunity of the day. “I just had the confidence to bounce back after allowing those two baserunners,” Paterson said. Wellsville coach Maria McNicol said that Paterson is one of the best pitcher’s the Tigers have seen this season. “She makes it very hard to get a bat to the ball,” McNicol said. The only other hit for Wellsville came in the top of the sixth inning when Aleia Hawk ended Paterson’s no-hit bid. “We’ve been able to develop some younger players into our lineup this season,” McNicol said. The two teams meet again in Wellsville today. U–Annie Paterson, wp (7IP, 14K) and Alyssa Inman. W–Hunter Weekley, lp (4 1/3IP, 4K, 4BB), Aleia Hawk (2 2/3 IP, 4K) and Aryn Ice.